1. Login to your catalina web admin interface. 2. 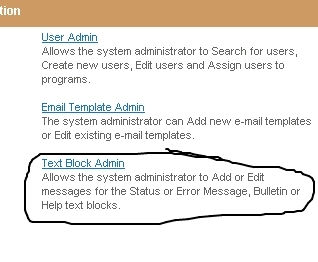 Once logged in, click on the link for the "text block admin". 3. Choose the type of textblocks you would like to view/edit, then click "View". You will then see a listing of all the existing page blocks for that type. 4. The "Name" field is a key for looking up this textblock entry. Choose something unique but identifiable. 5. 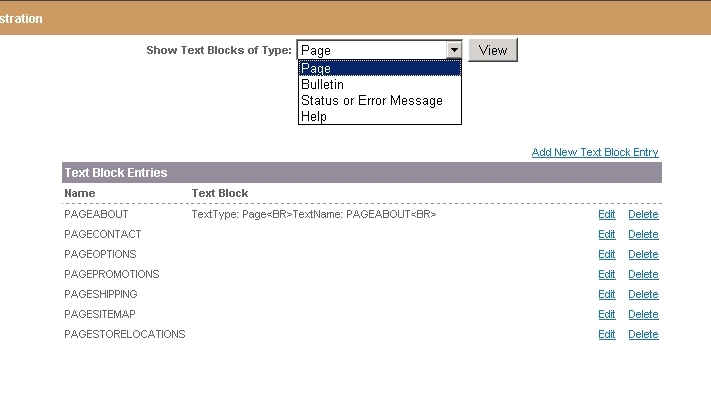 On the textblock admin screen you can work in WYSIWYG mode or HTML mode. 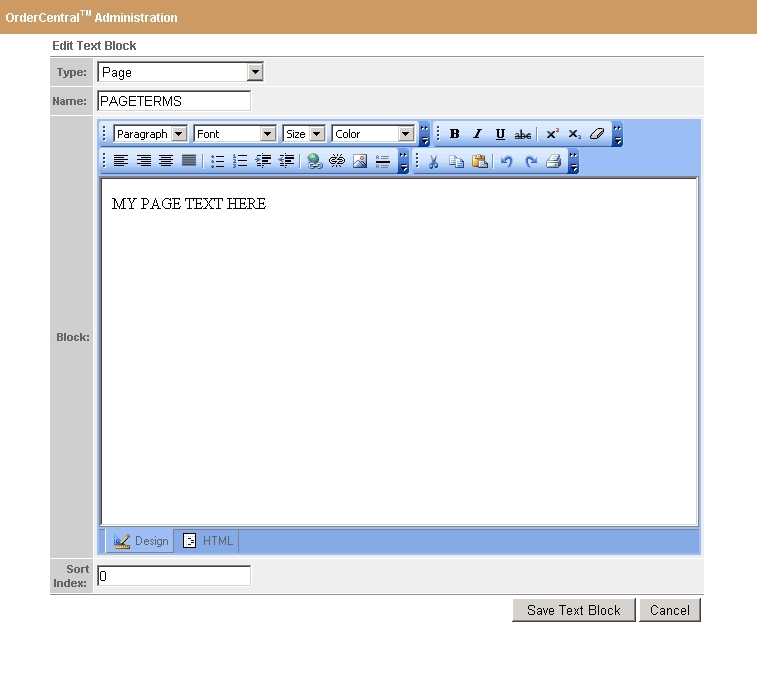 The WYSIWYG mode accepts copy/paste from most popular applications such as Microsoft Word. HTML mode is for the more advanced web-admin for complete formatting control. When you are done editing or adding a TextBlock, click the Save TextBlock button. 6. Textblocks are cached in memory on the webserver for performance reasons. Due to this caching, in order for your textblock changes to display on the website you will need to clear the cache. For instructions on how to clear the cache, see: How to clear the application cache for an OrderCentral website.